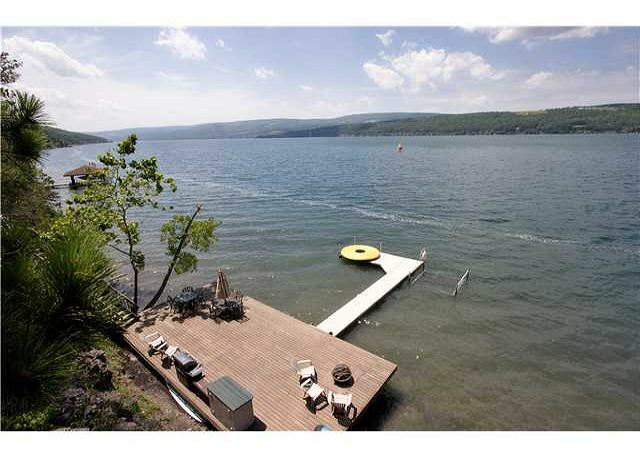 Be swept away by the beauty of this spectacular home and its captivating views of Canandaigua Lake! 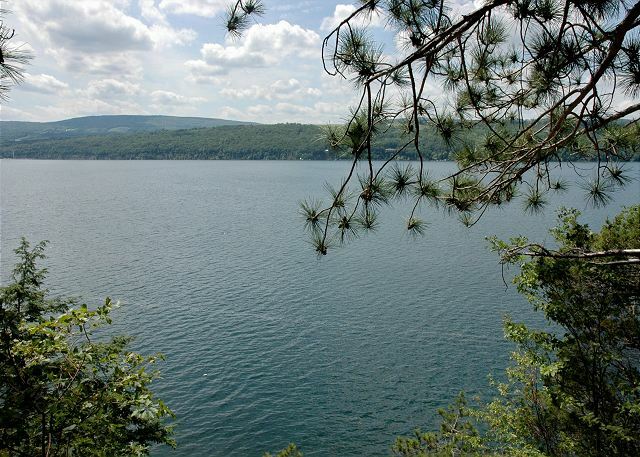 Offering breathtaking views from every room, this peaceful spot will make your Finger Lakes vacation one to remember. 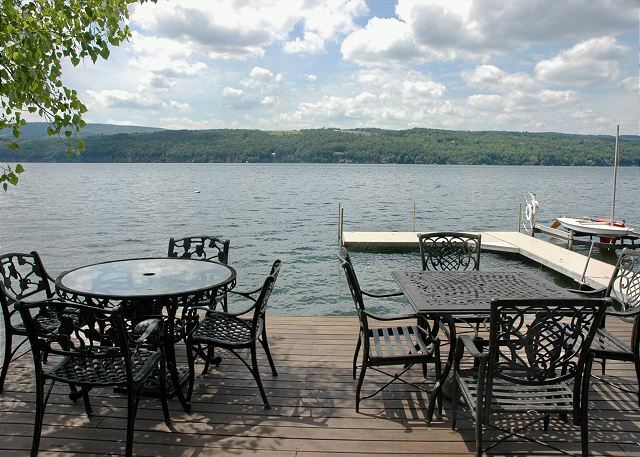 Located in a secluded and private setting, there are few better spots to retreat and relax in one of Canandaigua Lake's most luxurious waterfront homes! 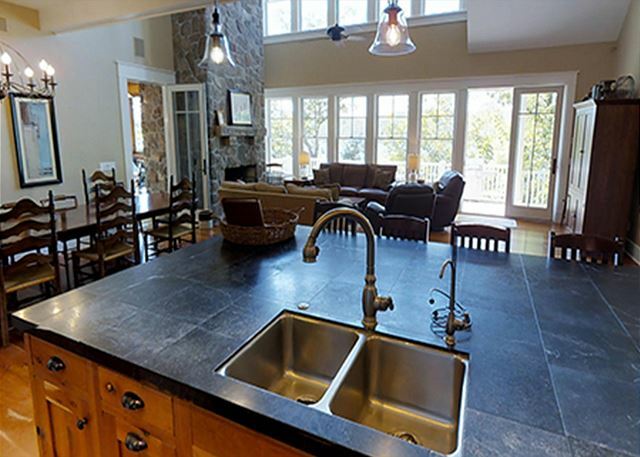 Watch the moonlight between the trees at twilight, or enjoy a romantic sunset as you sip a glass of Finger Lakes wine from one of two upper decks overlooking the lake. 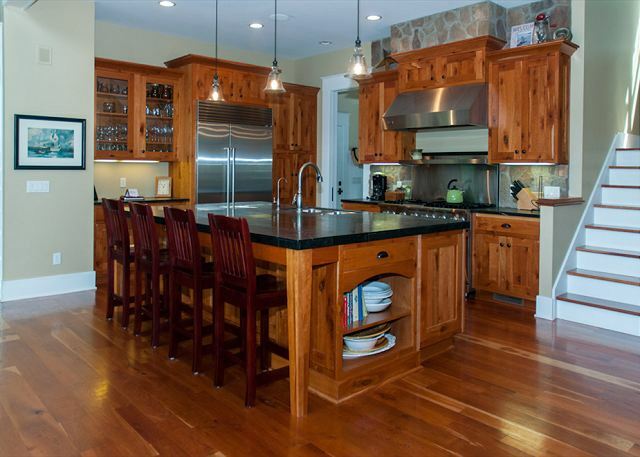 If privacy is your pleasure, this home has been built far down off the East Lake Road. 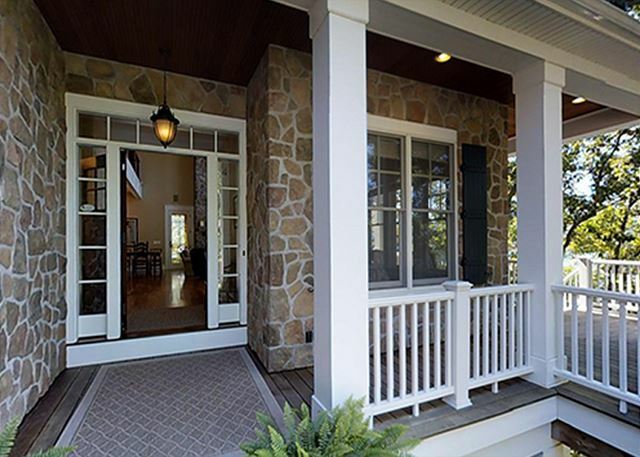 The 1/4 mile private driveway brings you to the parking area that is conveniently located directly outside the front door. As you enter through the front door, you will find a full bath with shower to your left and a bedroom with queen size bed to your right. 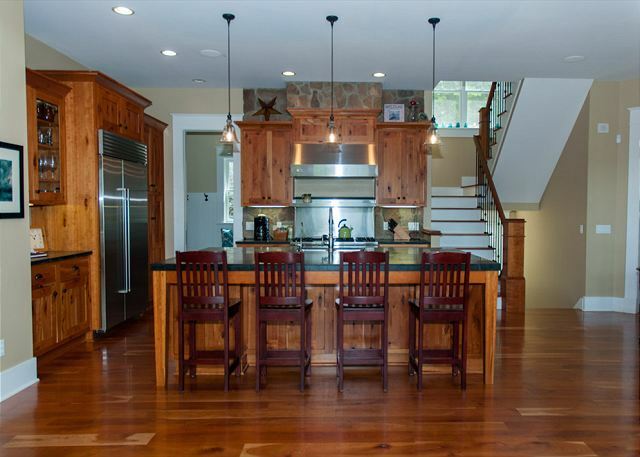 Just ahead is the gorgeous great room, with a grand stone wood burning fireplace, cathedral ceilings, quality furnishings, and a TV. 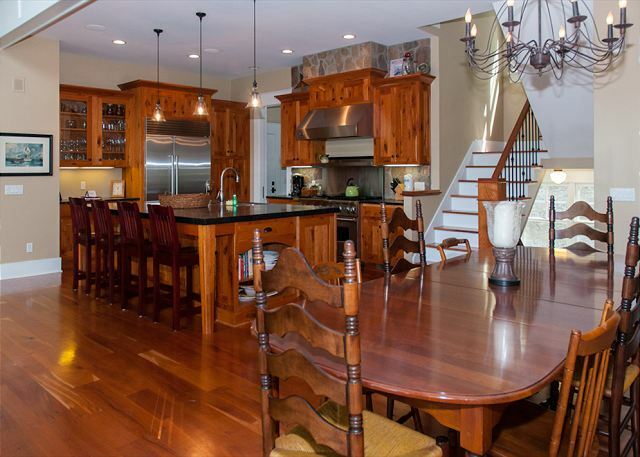 The kitchen is open to the great room and is a dream come true for the chef in your family! 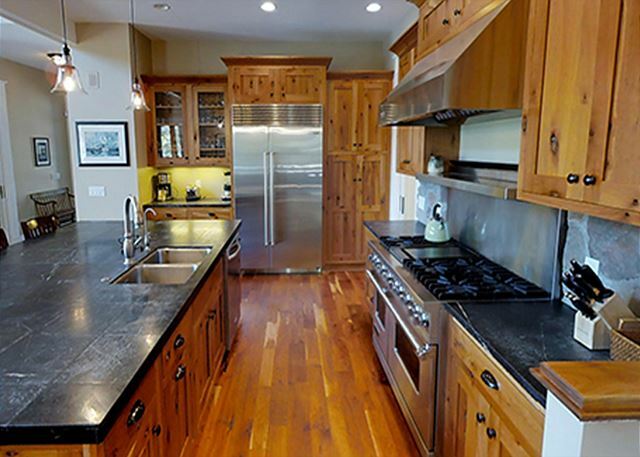 Brand new stainless steel appliances, including a 48" Viking range, soapstone countertops, a large island for preparing meals, and quality custom cabinetry. Just around the corner from the kitchen is the laundry room with unique tile flooring. 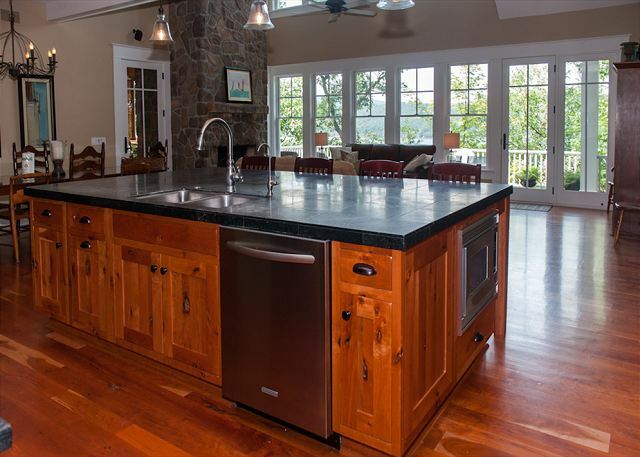 A table located next to the kitchen and the island are convenient for meal time, or step out and enjoy the outdoors through the screened in porch. 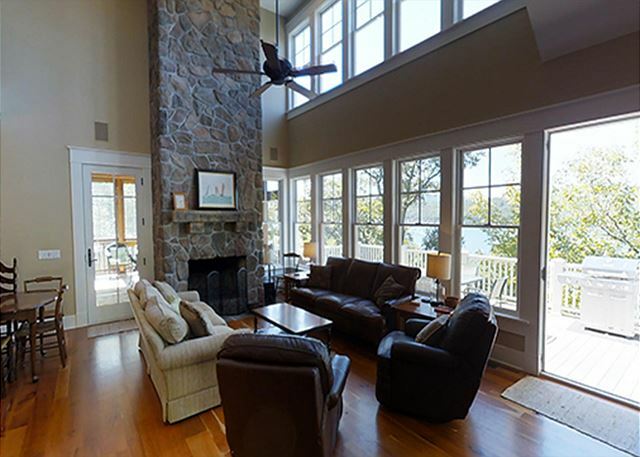 Here you will find a second wood fireplace to provide romance and ambiance as you dine and take in the beautiful lake views. 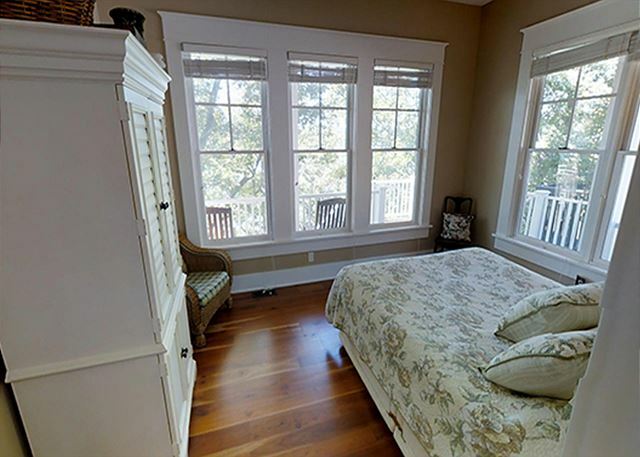 The fabulous master suite boasts a king size bed and is located just off the kitchen, with doors leading out to the screened porch. 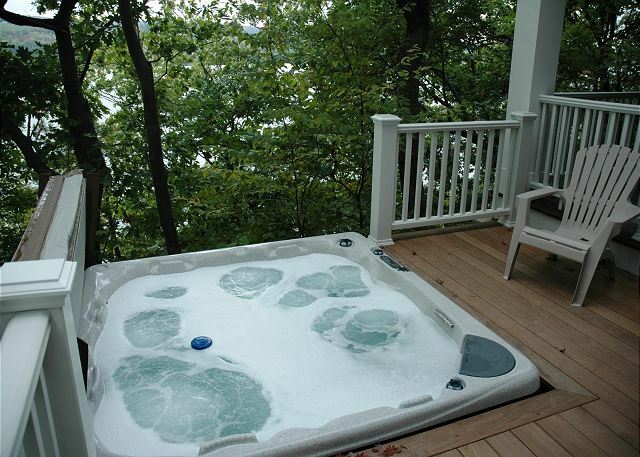 This room offers a spacious master bath with Jacuzzi tub and separate stand up shower with beautiful tile work. 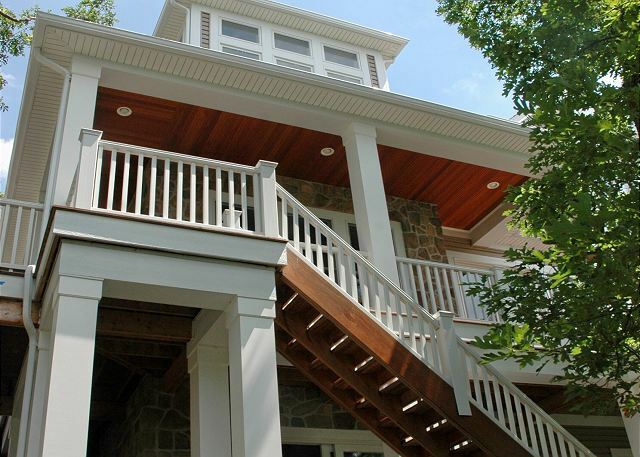 Retreat upstairs to the large landing that not only looks over the great room below, but has views of the tranquil scenery outdoors. 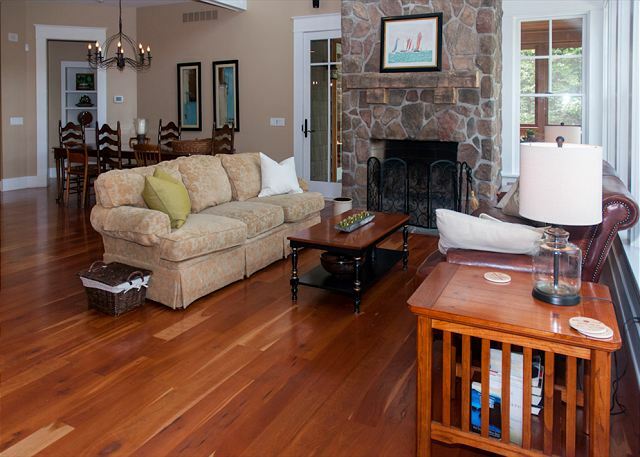 Cozy up on the large sectional sofa and read your favorite book. To your left you will find another bedroom suite with 2 queen size beds, a single bed with single trundle (can be used to create a king bed) and attached full bathroom. To the right of the landing is another bedroom, fit for a princess! Its castle tower feel with windows up to the tall ceiling and cozy bed will have you feeling like royalty. Just around the corner is a bonus bedroom with 4 single beds. 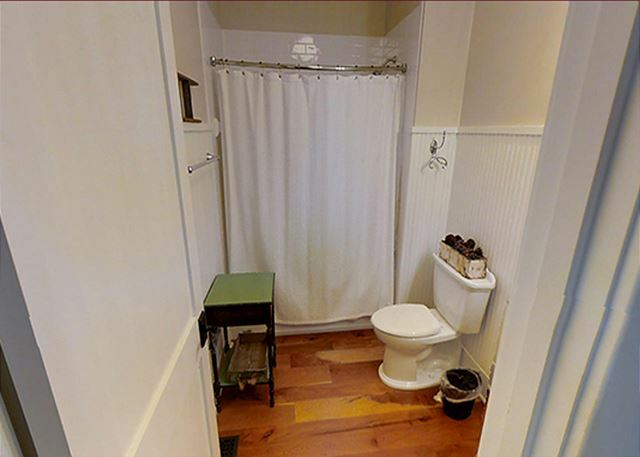 Both of these two lovely bedrooms have easy access to the fourth full bathroom. The driveway, and adjacent areas have ample parking for your vehicles. A tram, with built in seating, is available for ease of getting down to the gradual lakefront. 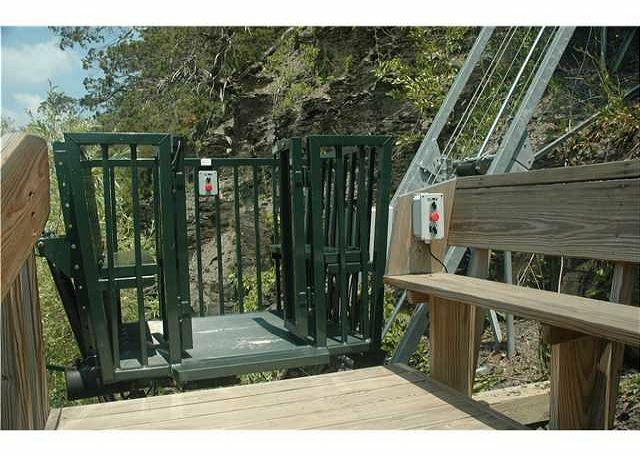 Stairs are also available for the physically fit. 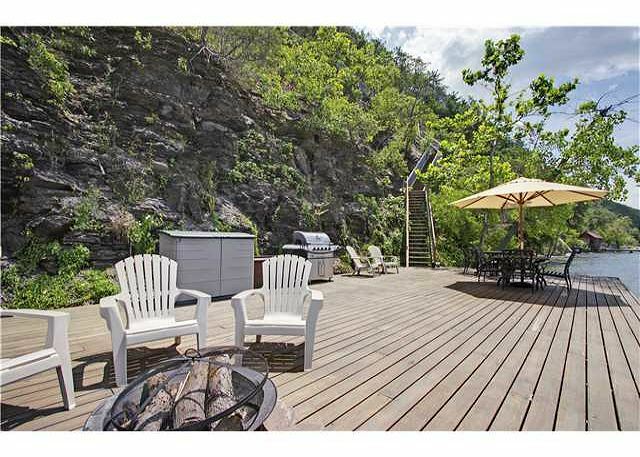 Down on the 20' x 40’ lakeside deck is where you will want to be spending most of your time! 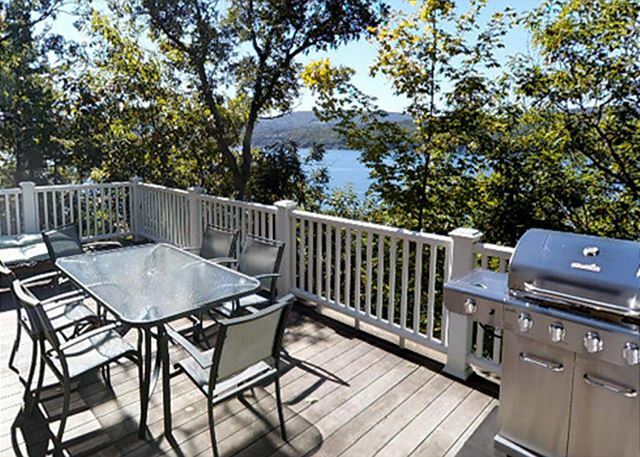 Enjoy the lake scenery as you relax and fish off the end of the dock.